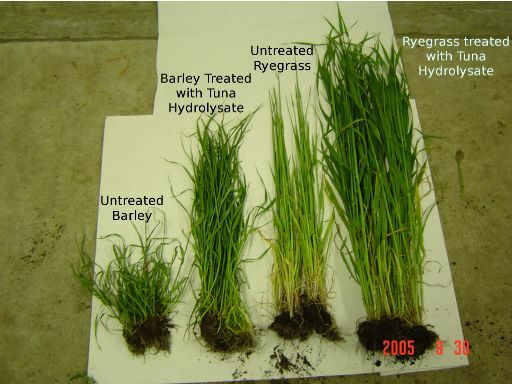 Rye grass and Barley with and without Tuna Hydrolysate treatment. Kevin Smith (with beard) in container load of Tuna Hydrolysate being loaded for export to Asia. 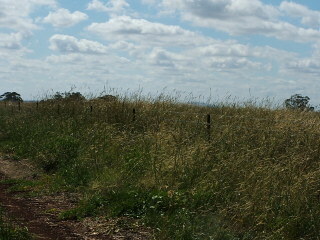 Both of these Canola crops were planted on areas burnt out by the 2005 Eyre peninsula Bush fires. The chemical crop on the left was planted a few weeks before the Tuna Hydrolysate crop on the right. 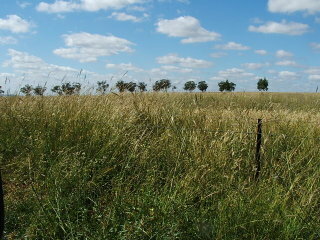 Canola crop without tuna hydrolysate. 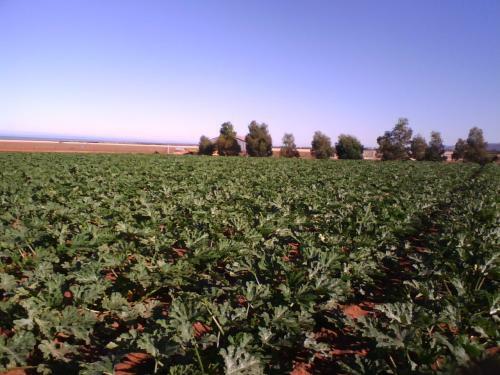 Canola crop with Tuna Hydrolysate. 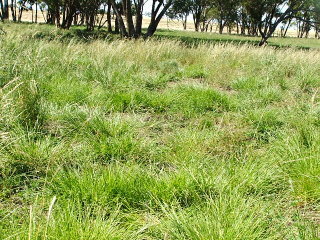 The Barley crop on the left was treated with Tuna Hydrolysate, the crop on the right was treated with Superphosphate. These were brought back from near dead. 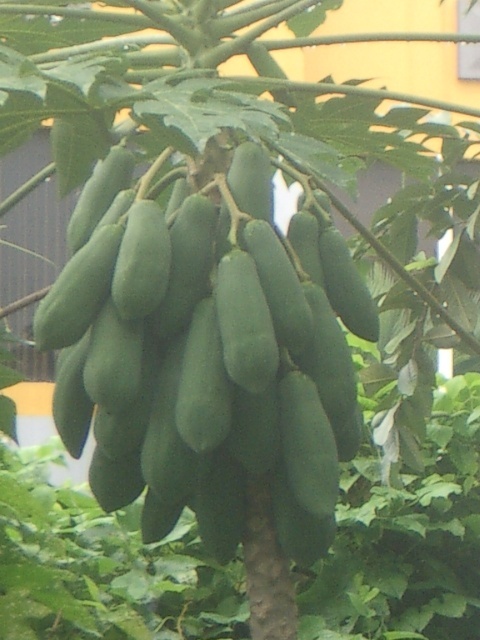 Papaya fed on Tuna Hydrolysate producing prolific quantities of fruit at a young age. 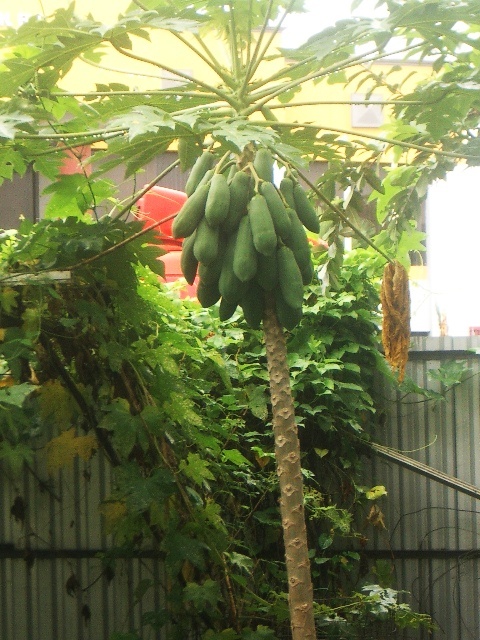 Note the papaya tree trunk. Small and thin but the pods huge and plenty. This crop of .35 ha of zucchinis was planted as seed with our own compost as preplant fertiliser. 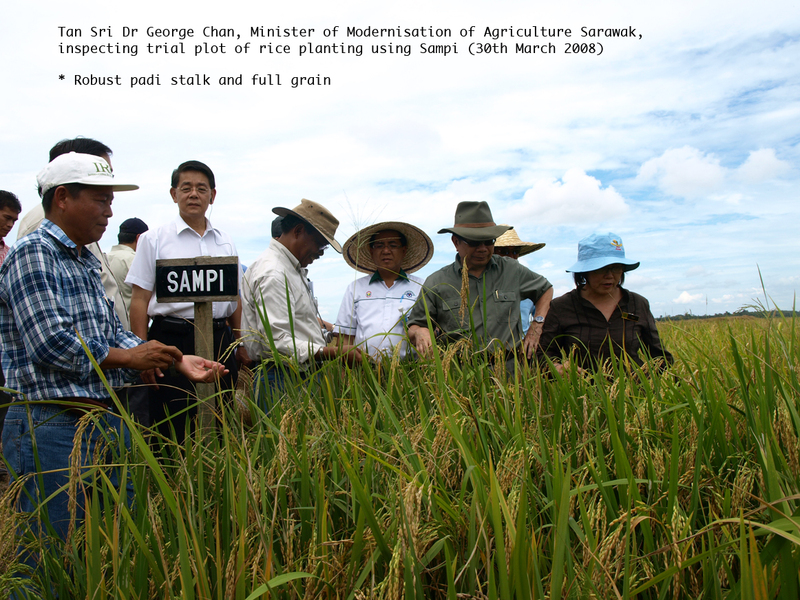 A fortnight after planting we commenced an application of 20 litres of Hydrolysate per week through the drippers. We commenced picking 5 weeks after planting, and picked 1.4 tonnes during the first week of production, during the first 4 weeks of production we picked 6 tonnes of fruit. 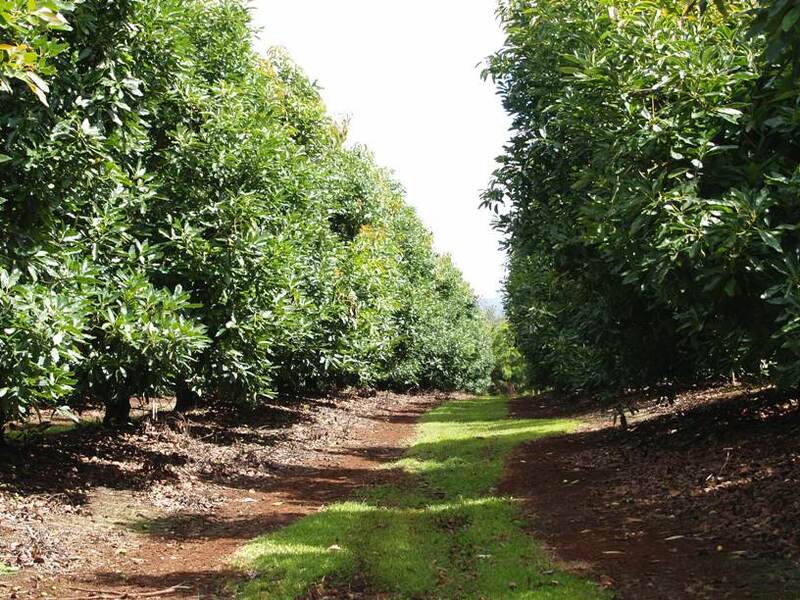 Avacados in Northern Queensland. Tuna Hydrolysate treated. 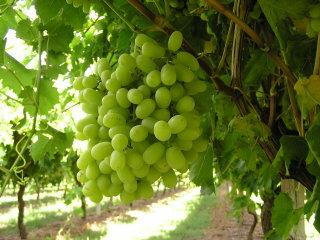 Very good leaf growth; high yield of large, shiny fruit. 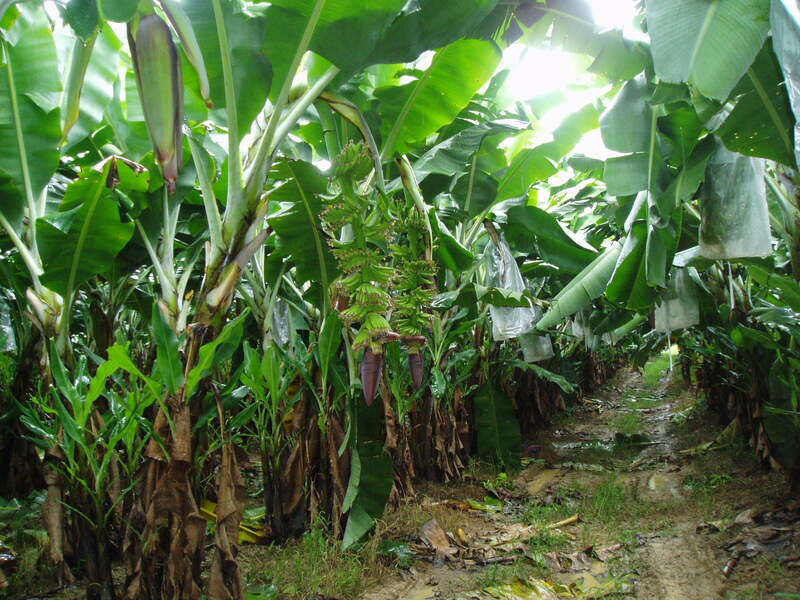 Bananas in northern Queensland. 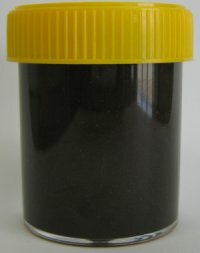 Tuna Hydrolysate treated. Very healthy tree with good sucker growth and large bunches. Eric Harvey, runs Geuri Pastoral company near Dubbo in NSW. He suffered a massive heart attack some years back; doctors could not explain why and said he had little time to live. The naturopath said the cause was lack of nutrient in the foods he was consuming and was right. Eric had set about producing his own food starting by throwing out all the herbicides, pesticides and chemical based fertilizers. 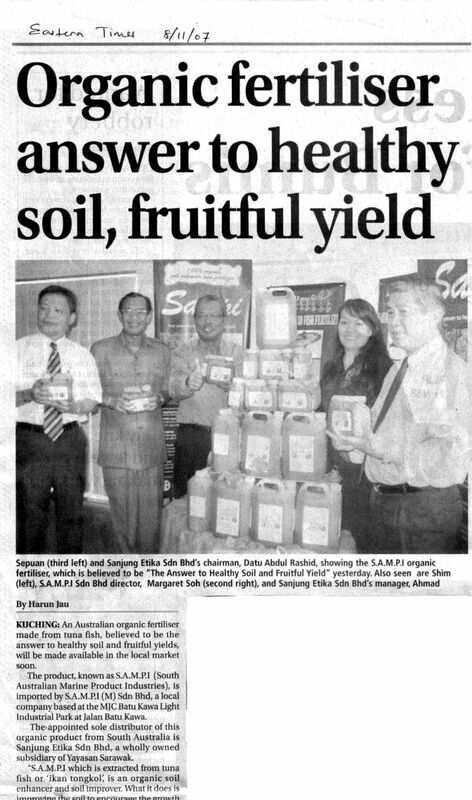 Then, re-building the soil biology via the use of organic matter and compost teas based on fish hydrolysate. 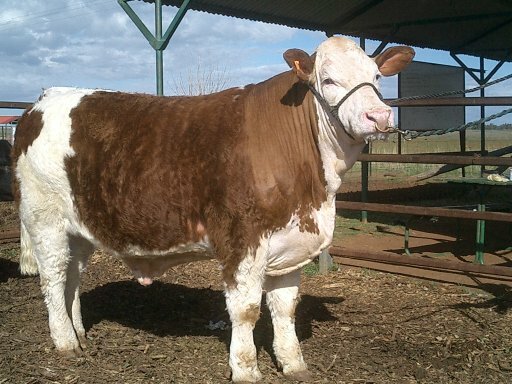 The result has been nutrient rich home grown fruit and veg and native pastures providing nutritious feed for the cattle which are now putting on 3kg per head per day and average similar omega 3 levels as a fish. Eric is still alive and is now healthy again. 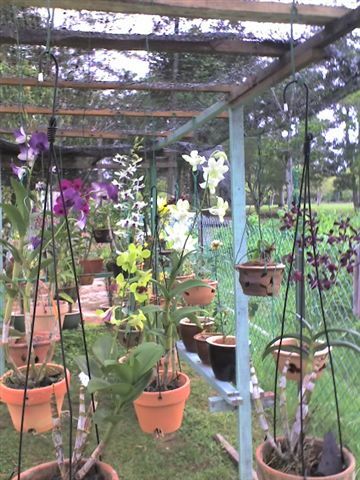 These photos were all taken in the middle of January 2008. 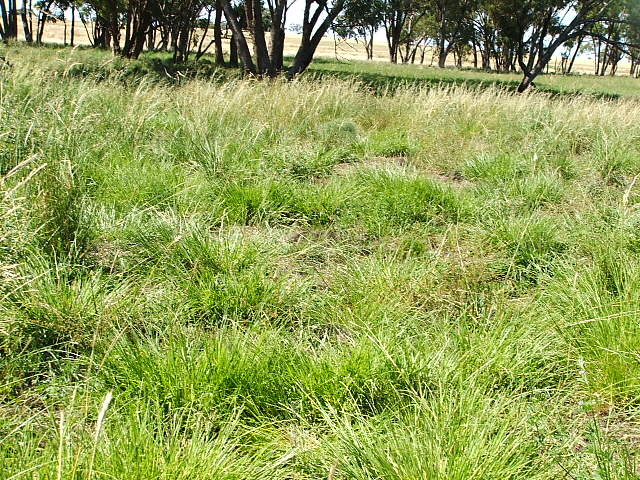 All summer natives - Mainly Paspalidium Constrictum (Warrego Grass, Box Grass) with a few others. Have identified 25 different species here. 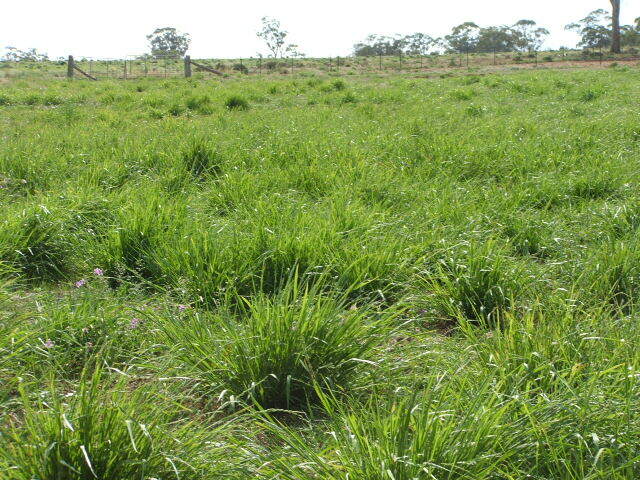 Warrego grass is at times up to 28% crude protein, averages about 15 to 21% - outperforms lucerne. 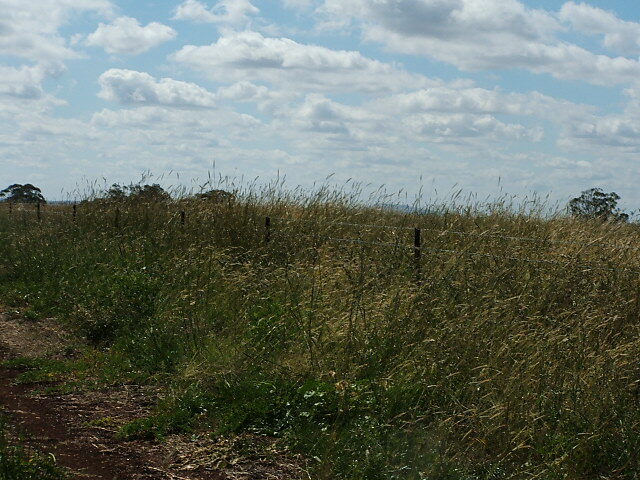 Photos on right are photos of Warrego. 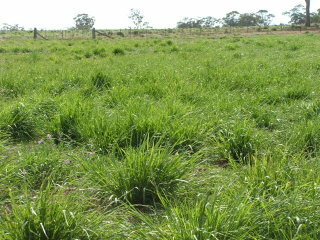 These paddocks had 120 days rest before the "mob" comes round again. 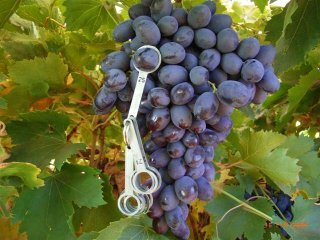 We are currently working on 150 day rest period and the paddock is grazed for 2 to 4 days every 150.
and Thompson Seedless grapes below. 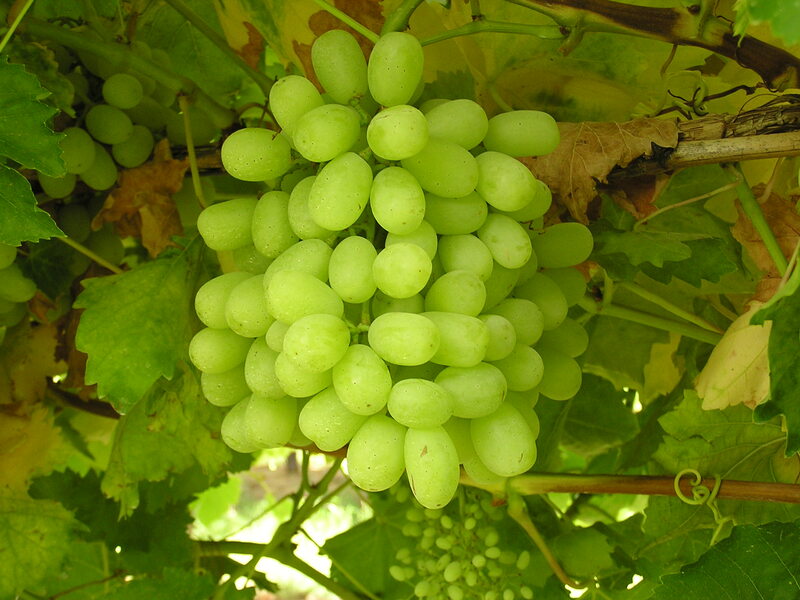 The viticulture industry is a major user of Tuna Hydrolysate. These vines have been grown on fish; yields improved 15-30% within 2 years. 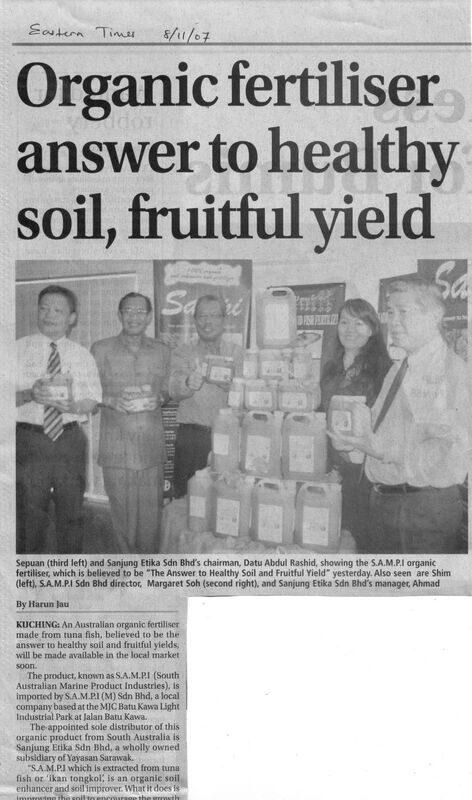 Newspaper clippings from product launch.